Loose Ankles - Columbia Gear Axles | Tennessee Aircraft Services, Inc.
Main landing gear leg and axle block fastener hole inspection/enlargement. 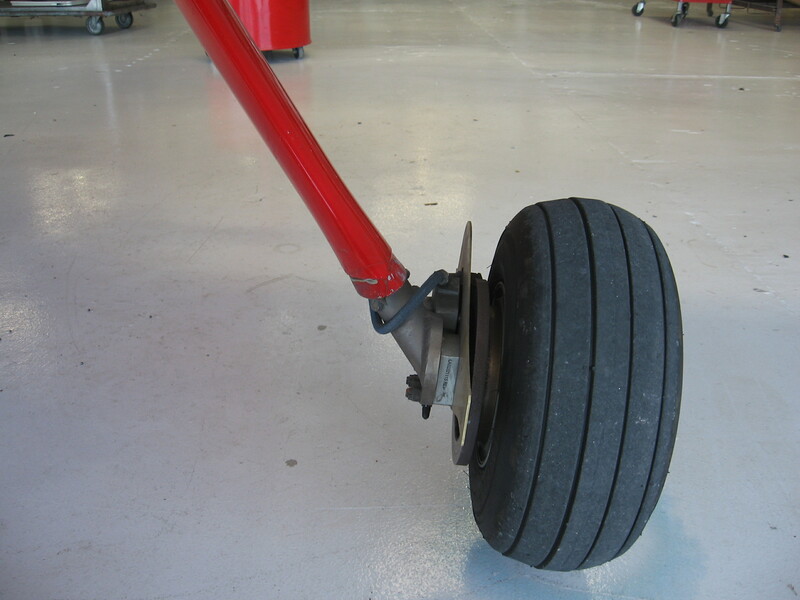 Cessna started using the tubular style main landing gear legs on the Cardinal series. It turned out to be such a successful system that they eventually adopted it on all but the tail draggers and the 206 series. 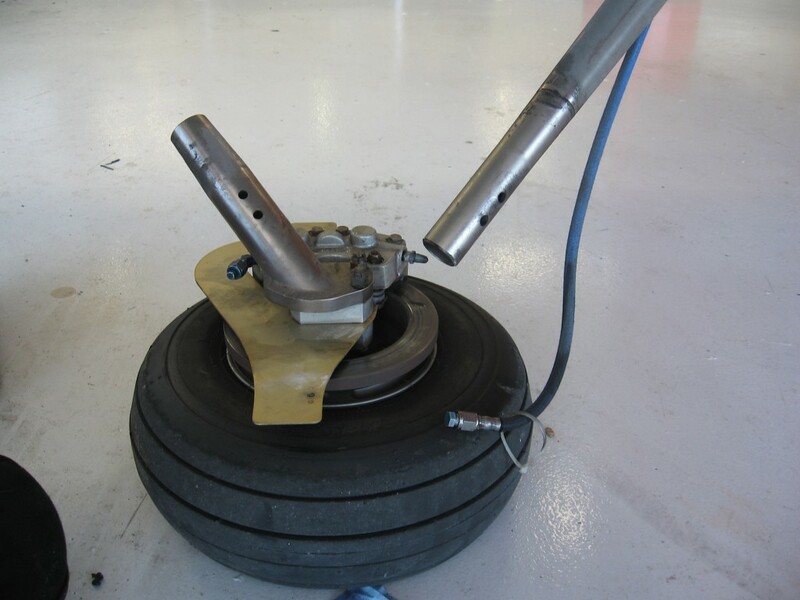 Cessna engineers developed a robust combination of physics to transition from the steel tube to the required axle and brake mechanism at the lower end of the main gear legs. The gear legs must endure everything from landing impact (more for some of us than others), to the shaking of unbalanced tires, to the twisting forces of braking. That last one is a bit of a challenge when attaching a round axle to a round leg. Any movement between the axle assembly and the leg will be exaggerated and damage incurred with each application of the brake. Cessna employed a couple of approaches that ensure there would be minimal movement between these parts for a long, long time. The fixed gear plane gear legs are in alignment with the rotational axis of the wheel on the axle. 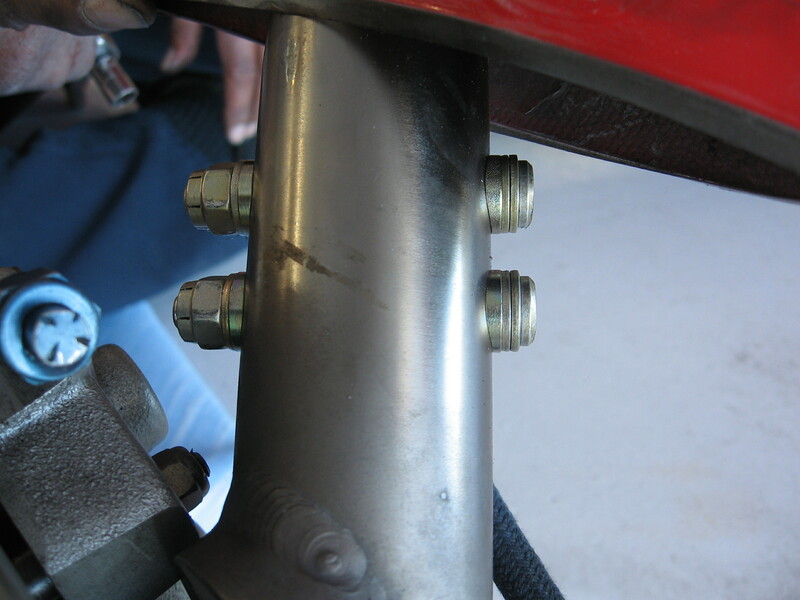 To minimize torsional problems between the parts, Cessna created a fit that requires heating the axle so it will slide over the gear leg; then a bolt is installed for good measure. As the axle cools, the two parts have a very tight fit with no movement between them. The retractable round tube gear planes have a different geometry that has the lower end of the tube making a more vertical approach to the axle assembly. Because of this more angled attachment, the torsional loads are not the same and the two bolts used to fasten the axle to the leg have proven more than adequate over the years. The axle block is removed and it can be seen that all the torsion loads are applied to the two mounting bolts. At first glance, the Columbia design is almost exactly like the old Cessna retract design. A significant difference is the alignment of the gear leg where it attaches to the axle block. 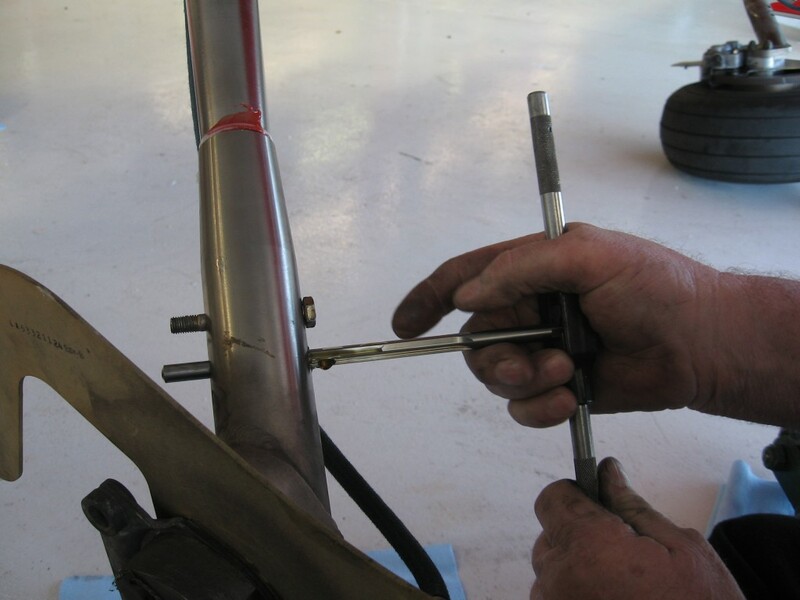 When brakes are applied the torsion load is more readily transferred from the tire through the axle block to the gear leg at the two attachment bolts. This added load exploits any machining tolerance in the fit of these fasteners. Every application of the brakes pounds the axle mount against the bolts and then against the holes in the leg. Over time the bolt holes elongate, the bolts get wear ridges, and the parts become looser. This is the main gear on a Cessna TR182 showing the 2 bolts holding the axle block on the gear leg. Also note the angle of the leg and that it attaches above the center line of the axle. Our first encounter with this problem was about two years ago on a Cessna 400. We detected movement between the axle and the gear leg, which surprised us since we’d never seen it before on the Cessna designed system. A call to Cessna engineering revealed that this was a problem they’d been working on for a while. The engineer said a service bulletin was in the works, but he couldn’t say what was in it at the time. They offered to produce FAA approved engineering data, for a nominal fee, but we decided to wait for the free service bulletin. In the meantime, we could guess the planned repair included reaming the holes for a press fit or at least interference fit bolts. 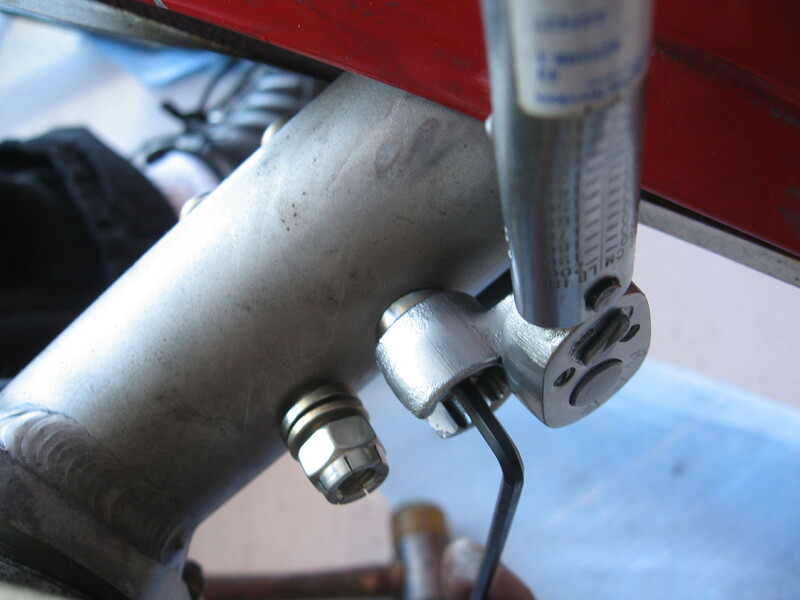 Most of the metal Cessnas have provisions to up-size many fasteners as a course of normal maintenance and repair. As simple as this repair sounds, it would require FAA approved data on the Columbia series because there is no such process for using oversized fasteners in that maintenance manual. An inspection of the bolts showed they were in good condition. The maintenance manual did not give any wear tolerance on the bolt holes so we were able to use our judgment to determine the attachment was acceptable for continued service. Fast forward to January this year when Cessna published SB11-32-01. As expected, this service bulletin details the approved procedure and tooling required to enlarge the gear axle mount holes and install the very close fitting hi-shear bolts. Compliance is recommended which means Cessna will financially participate only on those aircraft still under warranty. The bulletin calls for inspection of the bolt holes within 100 flight hours or 12 calendar months and it’s just a one-time check. If the hole diameter is less than the limits called for in Table 1 of the bulletin, then no action is required. I suspect any plane that passes the inspection now will likely not pass the inspection at some later date after a few hundred landings. Unfortunately, it’s a two hour job to reinspect if there is a suspected problem later. The required Hi-Lok bolts are very expensive at $234.00 each and four are needed. You’ll also need eight contoured washers at $55.70 each. You could probably find these for less from some of the aviation specially hardware houses, but don’t expect them to be on the shelf ready to ship. A special solid carbide line reamer is required that can be ordered from Cessna, or one may use the specifications in the bulletin to have one fabricated. Installation complete with the contoured washers so the bolt head and nut have proper bearing surfaces. With Cessna’s years of experience and success on the legacy airplanes and the aluminum restart planes, one might wonder why they didn’t incorporate the same solution to the Columbia series. I wasn’t invited to the engineering staff meetings to consult on the issue, but I imagine the decision was a matter of economics. To use the “Cessna” system would require a significant redesign of the gear leg, followed by retooling for the new parts. While installing new bolts isn’t a perfect fix, it’s certainly easy to perform in the field and cost effective to implement on the assembly line. Oh, and it’s a pretty straight forward repair for which you get FAA approval.